Augustus Henry Fitzroy served as Prime Minister from 14 October 1768 to 28 January 1770. The second of three sons born to Lord Augustus Fitzroy and Elizabeth Cosby, Grafton became the heir upon the death of his older brother. The family was descended from one of the illegitimate sons of Charles II and Barbara Villiers; Grafton inherited the dark complexion of the Stuarts as well as their love of horse racing. Grafton was a founder member of the Jockey Club, along with the second Marquis of Rockingham. Other interests included hunting to hounds, breeding racehorses, farming and collecting books. His horses were Derby winners three times and Oaks winners twice. Grafton was educated initially at a private school in Hackney, London. Later he went to Westminster School, and in 1751 entered Peterhouse, Cambridge. After being awarded an MA in 1753, he undertook his Grand Tour, visiting France, Switzerland, Italy, Germany and Holland. In December 1756 Grafton entered parliament as MP for Boroughbridge, one of the Duke of Newcastle's pocket boroughs. Later that month, he was returned unopposed for Bury St. Edmunds, his family's borough: he chose to sit for the latter constituency. However, his career in the House of Commons was short-lived since he succeeded to the family's titles and estates, including Euston Hall near Thetford,in May 1757 on the death of his grandfather and took up his seat in the House of Lords. At the same time, he was appointed as Lord Lieutenant of Suffolk. In January 1756 Grafton married Anne Liddell, the daughter of Baron Ravensworth. During their stormy, scandal-ridden marriage, they had three children. One of the problems for the couple was that Grafton was remarkably unfaithful to his wife, openly keeping a series of mistresses. In 1764 he left his wife to live with Anne Parsons, alias Mrs. Houghton, and then outraged his contemporaries by taking her openly into high society. Horace Walpole commented on Mrs. Houghton was that she was "the Duke of Grafton's Mrs. Houghton, the Duke of Dorset's Mrs. Houghton, everybody's Mrs. Houghton." Meanwhile, Lady Grafton had embarked on an affair with the Duke of Portland. In January 1765 Grafton and his wife separated: Lady Grafton began an affair with the Earl of Upper Ossory to whom she had a son in 1768. The couple then eloped, to the embarrassment of Grafton, who divorced his wife in March 1769; she married Lord Upper Ossory. In June 1769 Grafton abandoned Mrs. Houghton in order to marry Elizabeth Wrottesley with whom he had thirteen children. Mrs Houghton went on to marry the Duke of Cumberland and therefore partly was responsible for the Royal Marriages Act of 1772. Early in his political career, the Duke of Grafton became associated with the "young friends" of the Duke of Newcastle. These men met at Grafton's London home to organise a formal opposition to Bute's peace preliminaries to end the Seven Years' War. Grafton's maiden speech attacked the peace proposals and consequently, Grafton became one of the victims of the "Massacre of the Pelhamite Innocents", being deprived of his Lord Lieutenancy of Suffolk. In July 1765 Grafton became a Privy Counsellor and after lengthy discussions with Pitt (the Elder), he accepted the post of Secretary of State for the Northern Department in Rockingham's first ministry. Grafton appears to have believed that negotiations would take place for Pitt to enter the administration; Rockingham had no such intentions so Grafton resigned in April 1766. The Rockingham administration was undermined by the combined activities of Pitt and the king, resulting in Rockingham's resignation in July 1766. The king invited Pitt to form a ministry and elevated the "Great Commoner" to the peerage as the Earl of Chatham. Grafton accepted the post of First Lord of the Treasury — reluctantly, because he did not think that he was capable of doing the job. Grafton effectively was responsible for the conduct of business but knew that his job would be more difficult because the PM was in the House of Lords. Although the administration of 1766-68 was that of the Earl of Chatham, the 'great man' was absent for most of the time, leaving Grafton to get on with the business of government. Grafton was only 31 years old. In May 1767, Grafton was unable to prevent Charles Townshend, the Chancellor of the Exchequer, from proposing the American Import Duties Bill to the House of Commons. The intention of the legislation was to raise a revenue from the colonies: this had been one of the reasons for the colonial problems of 1765-66 after the imposition of the Stamp Act. Townshend died soon after his legislation was passed, but his legacy resulted in war with the colonies beginning in 1775. In 1768 there was a general election; the government's majority remained virtually unchanged and this was blamed on Grafton's laziness. This election also saw the return of John Wilkes, who stood as a candidate in what became the Middlesex election fiasco of 1768-69. Another event in 1768 that needed attention was the French annexation of Corsica. From Britain's point of view, any extension of French power in the Mediterranean was dangerous, but nothing was done to prevent the transfer of Corsican sovereignty from Genoa to France. Ironically, the most famous Corsican of all was, by a whisker and the result of British inactivity, a French citizen: Napoleon Bonaparte was born on 15 August 1769. Grafton had to deal with other problems during his two-year ministry. His decision to debar Wilkes from parliament during the Middlesex elections resulted in the emergence of the Petitioning Movement, so-called because it produced petitions for the dissolution of parliament that were signed by a quarter of the electorate. Grafton disregarded the petitions as irrelevant. The Wilkes affair also saw the emergence of the Society for the Supporters of the Bill of Rights, which campaigned for the extension of the franchise and shorter parliaments. The year 1768 saw poor harvests with consequent food shortages and soaring prices. High unemployment and a severe winter provoked riots among the Spitalfields silk-weaver and East End coal-heavers. Merchant seamen in Hull, Tyneside and London went on strike for higher wages. These problems merely added to Grafton's burdens. Ireland was experiencing economic and political difficulties, so Grafton's ministry ordered that Lords Lieutenant must reside in the country thereafter; his government also passed the Octennial Act in return for Ireland's increased military contribution to deal with escalating problems in America. Until this point, Ireland had had general elections only on the death of a monarch. At the beginning of 1769 the Junius letters began to appear in the Public Advertiser. These letters, probably written by Sir Phillip Francis, made the duke the subject of fierce political satire and held him up for popular hatred. To make matters worse for Grafton, at the end of 1769 the Earl of Chatham suddenly recovered from his illness and returned to the Lords to attack the ministry. Grafton managed to continue in office until January 1770 when it all "got too much" for him. Chatham opposed the government's Address to the Crown; Lord Chancellor Camden verbally attacked his colleagues and was dismissed; Granby resigned from the Cabinet in protest at Camden's dismissal, and Charles Yorke committed suicide. Grafton decided that he no longer wished to continue in office and resigned. He did accept the post of Lord Privy Seal in the ministries of both Lord North (1770-82) and the Marquis of Rockingham (1782) but he spent his later years in the pursuit of religious enlightenment which eventually took him into the ranks of the Unitarians. 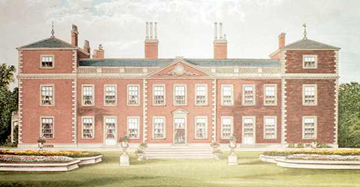 Grafton died on 11 March 1811 at Euston Hall in Suffolk. He was 75 years old. Anson, Sir W.R. Autobiography and Political Correspondence of Augustus Henry, Third Duke of Grafton. London, 1898.